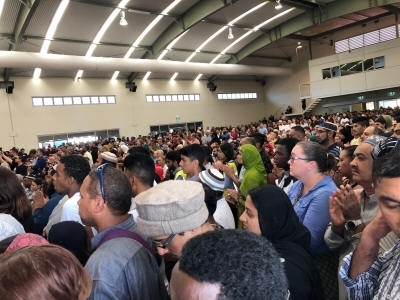 In excess of 3000 attendees consisting of families, community leaders, politicians and supporters stood strong in solidarity with the local Muslim community. 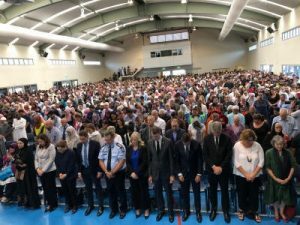 There was hardly standing room in the hall with people of all shades spilling all around the perimeter of the building and into the prayer hall below. Speakers expressing their sympathy and calling for unity included Brisbane Lord Mayor, Graham Quirk, Queensland Premier, Annastacia Palaszczuk, Queensland Police Commissioner Ian Stewart, Imam Uzair Akbar, ICQ president, Habib Jamal and ICQ spokesperson, Ali Kadri. Former student of the College, Nadia Saeed, ably held the, at times, emotional proceedings together as Master of Ceremonies. In his Vote of Thanks, Ali Kadri called representatives of all the faith groups present to come onto the stage of the hall in a show of unity, brotherhood, peace and solidarity. 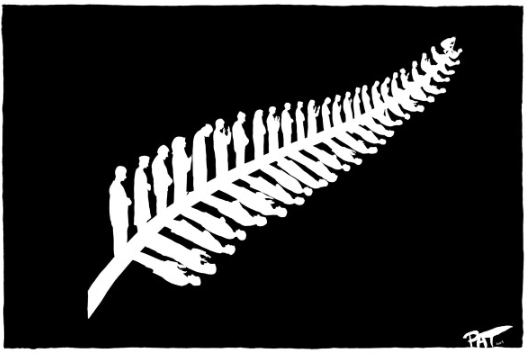 “While our hearts were broken, we can be uplifted by the love, compassion and hope from the voice of all the good people in the world. A stirring and heart-rending hakka had the entire crowd stand up and applaud as one.